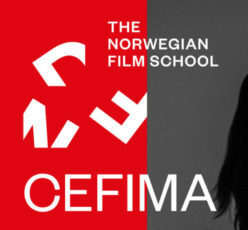 The vision for CEFIMA is innovation in the Norwegian Film School’s present teaching and learning programmes in filmmaking to fully incorporate digital technology and interactivity as a means of artistic expression. Digital technology has long been adopted in all phases of film and television production, but artists are just now beginning to explore its full potential. The challenge is to prepare students to exploit the new technologies for telling meaningful stories that help us understand both intellectually and emotionally an increasingly complex world. The core of CEFIMA actions will be students’ tests and exercises using new digital media in the creation of innovative storytelling. To this we bring the unique teaching and learning practice in cinematic storytelling developed at NFS over the last 20 years, recognised for its responsiveness to the changing demands of society and a rapidly evolving industry.